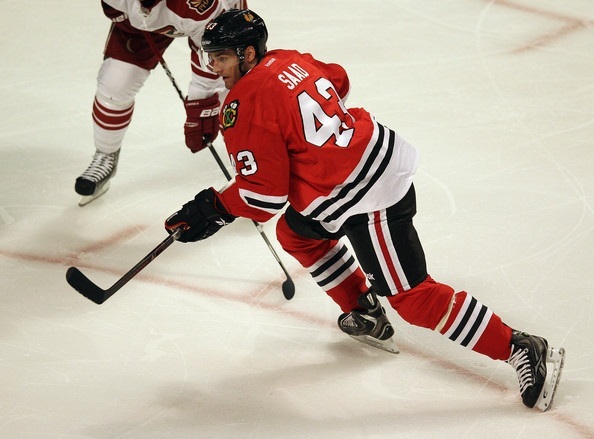 Saad was rated 19th by Central Scouting heading into the 2011 Draft, but fell to the Hawks in the back half of the second round. Now, he appears to be one of the steals of that class. He had a strong preseason in 2011, and made his NHL debut when the 2011-12 season opened. After two games, however, the Hawks sent him back to his junior team in Saginaw. Saad was one of the most impressive prospects in the OHL last year, racking up 76 points (34 points, 42 assists) in only 44 games. He then dominated the postseason, scoring eight goals and adding nine assists in 12 playoff games before the Spirit were eliminated. He registered his first NHL point with an assist against Phoenix in the first round of the Stanley Cup Playoffs. 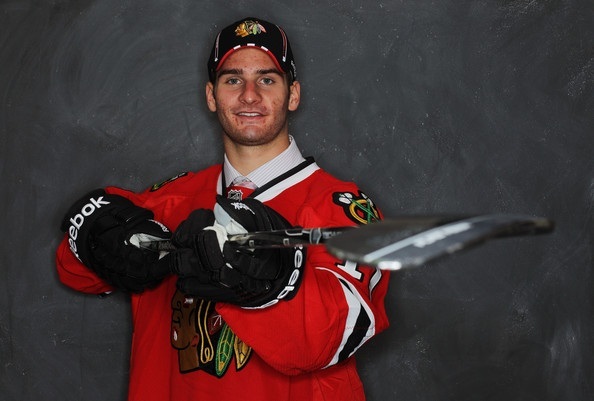 Saad should be considered a candidate for the Hawks roster if/when the 2012-13 season begins. Thank you for this excellent reminder of that fateful summer. I believe Bowman’s biggest gaffe that summer was his decision to keep Hammer at the expense of one of players that he traded. Then he was outplayed by San Jose into overpaying for him. Salary space we could have used to keep one of these guys. A look back at the calendar indicates that Hjalmarsson’s offer sheet came AFTER the trades were made in the summer of ’10. Blaming that deal for losing another player isn’t factually accurate. When I watch this guy play, I see shades of Sharp and Toews. I absolutely love his skating style and once he gets the point totals up people will finally give him the respect he deserves!